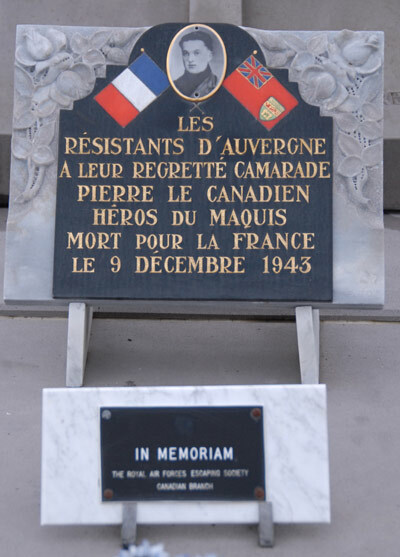 At the Municipal Cemetery of Les Martres-de-Veyre is one Commonwealth war grave from the Second World War. 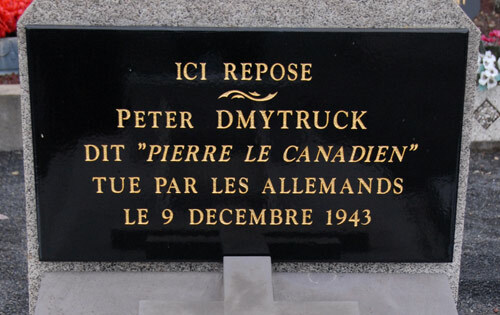 This is the grave of the Canadian sergeant Peter Dmytruk. On 11 March 1943 at 19:06 departed from the RAF Topcliffe, the Halifax DT745 with a bombing mission to Stuttgart in Germany. 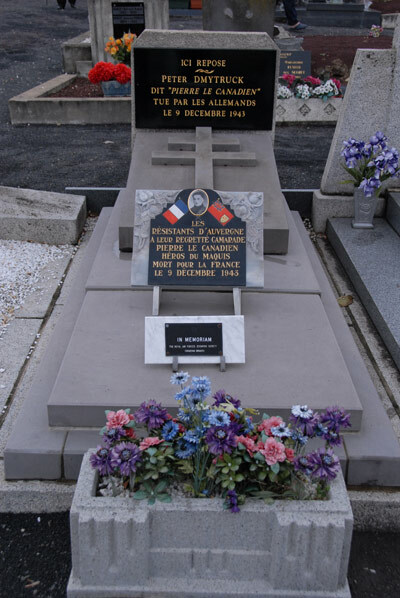 The aircraft was shot down over France by a German night fighter and crashed in Chalons-sur-Marne. Everyone survived the crash and of the eight crew members, six were taken prisoner of war. Two crew members escaped including Peter, he obtained shelter with the help of the French Resistance. With the help of the French Resistance, Peter came a long way towards the Spanish border to return via Spain to England. Precisely because of this help and seeing the misery of war in France, Peter decided not to flee to Spain but to join the French Resistance. 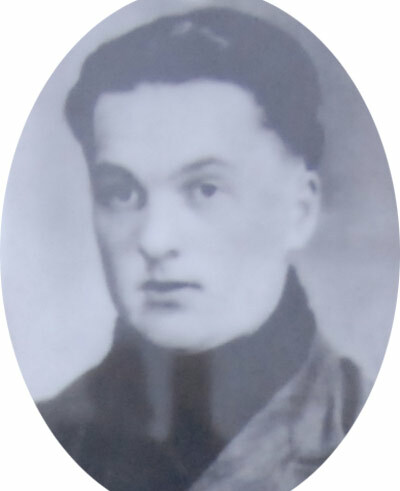 Peter and his resistance group were responsible for sabotage and an attack on an ammunition train. The Germans were on the trail of Peter due to the attack on the train. He was arrested and shot. 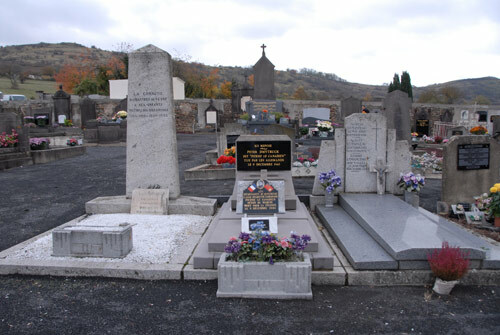 The local population saw Peter as a hero, after his death, he received several awards and was a private headstone placed.